Colorado's Front Range has numerous opportunities for hiking, mountain biking, snowshoeing and other outdoor activities. Among the many places to get outside and enjoy miles of trails are the Jefferson County Open Space parks. Owned by Jefferson County and free to use, these parks offer a wide variety of recreation opportunities for just about everyone. One of the most popular Open Space parks is Matthew Winters Park. It is easy to get to, located just off of I-70 and next to the Red Rocks Amphitheater. The trails offer opportunities for hiking, mountain biking and horseback riding. 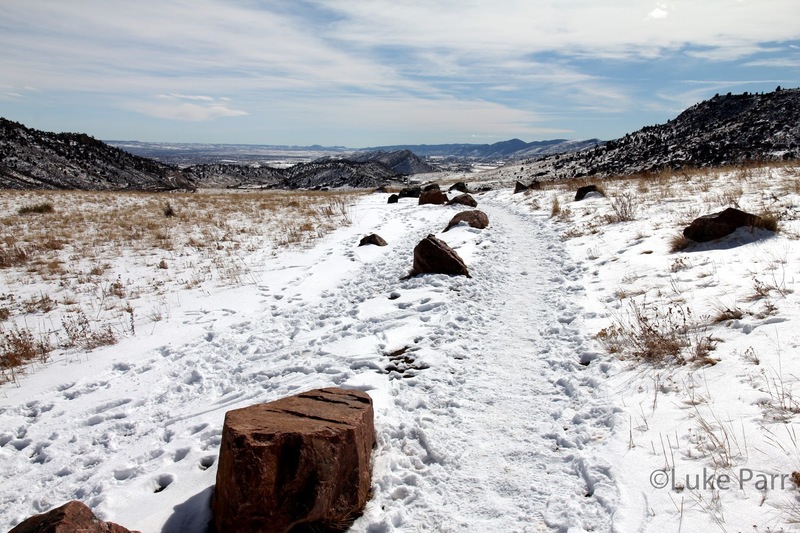 The trails can be extended by continuing south through the park and into the trails at Red Rocks, or east to Green Mountain. Matthew Winters is located just south of I-70 on Highway 93. To get there, you take I-70 west from Denver. Exit at Highway 93 and go south for about .1 miles. The park is on the west side (right as you are traveling south). You can also continue south along Highway 93 to get to Red Rocks. 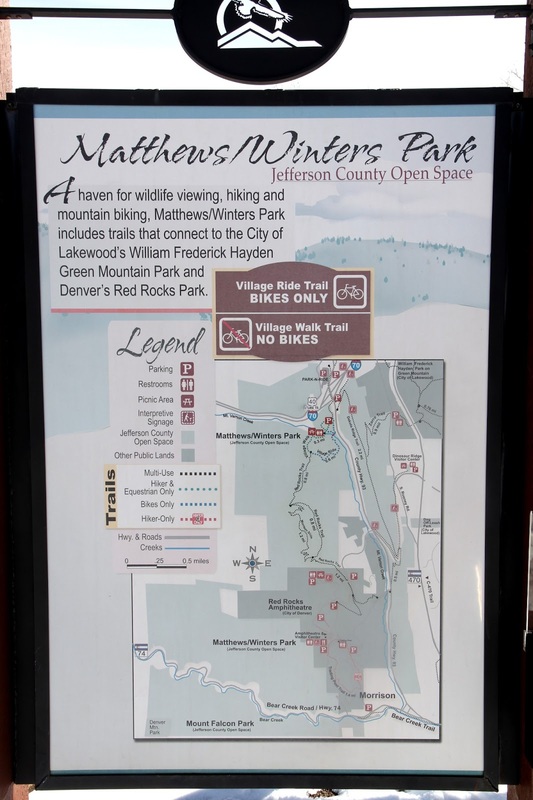 Like the other Jefferson County Open Space Parks, Matthew Winters is open from half an hour before sunrise to half an hour after sunset. 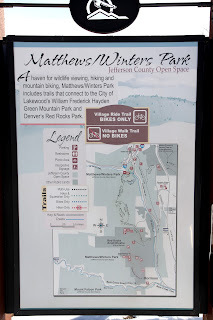 Matthew Winters trail map and trailhead. 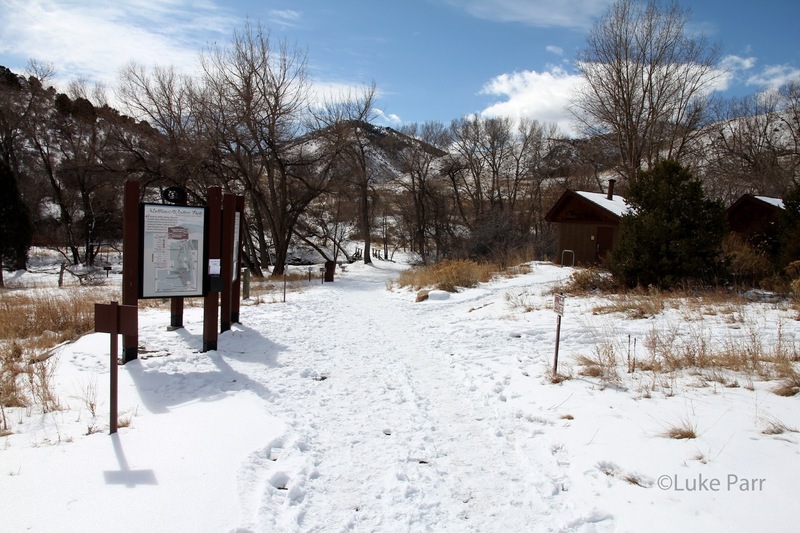 Matthew Winters Park is 1,084 acres, nestled at the base of the foothills. There are 9.2 miles of trails available, including both multi-use trails, bike only and hiker only trails. As you leave the parking lot, the Village Walk trail is to the right. This trail is for hikers and horses only. The bike only trail, Village Ride, is to the left. These two trails meet up at the Red Rocks Trail and morph into a multi-use trail. Red Rocks Trail continues along the hillside and as the name implies, leads directly into Red Rocks Park. If you want an additional challenge, the Morrison Slide trail switchbacks up on top of a small plateau, offering better views than you can get from down below. On the south side of the plateau, the trails switchbacks down and meets up with the Red Rocks Trail again. Looking north from Matthew Winters. Morrison Slide Trail. 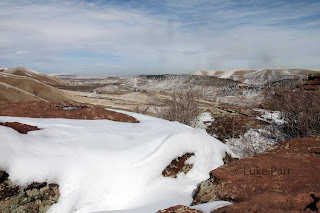 From the parking lot of Matthew Winters Park, you can cross Highway 93 to the east and continue up onto the hogback. 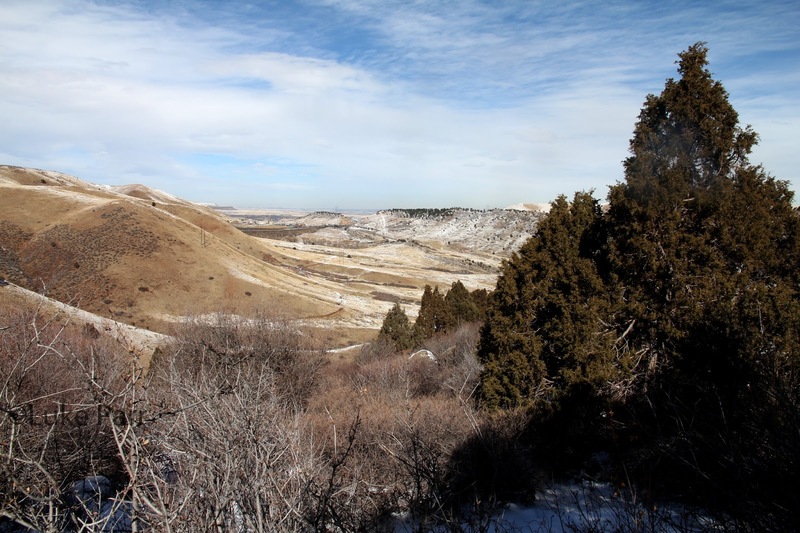 The Dakota Ridge Trail will lead to the very top of the Hogback and provide views to the east, including Green Mountain. Zorro Trails drops down the east side of the hogback towards the west parking lot for Green Mountain. Dinosaur Ridge Visitor Center is another nearby attraction. On the west side of C-470 and Alameda, this visitor center provides information about the dinosaur tracks that have been discovered along the hogback between C-470 and Highway 93.